Two young prisoners were executed for committing murder in Iran, one of them a juvenile offender who had carries out the crime when he was 16 years old. On 17 Jan 2017, Arman Bahreasemani was hanged along with ShamsAllah R in the city of Kerman, Iran. The two young men were found guilty of murder of Arman’s cousin in the city of Sirjan. Arman was 16 when he murdered his cousin and was thus a juvenile offender at the time of committing of the crime and arrest. Anti-death penalty and children rights groups had worked hard to persuade the family of the victim to not go through with the death penalty as a form of retribution. The law of retaliation/retribution (Qisas) in Iran allows families of victims to decide on the retribution as a form of punishment (an eye for an eye in the case of personal injury or a life for a life in the case of murder). They victims family are also entitled to forgiving the perpetuator and in the past years the right to life groups have persuaded the families of victims to forgive. Arman Bahreasemani born in 1997 was arrested four years ago when he was 16, and was executed by hanging when he was 20. ShamsAllah R was 19 when he committed the crime and was executed by hanging at the age of 23. Iran has ratified the UN Convention on the Rights of the Child (CRC) which prohibits execution of juvenile offenders under the age of 18. However, the Iranian penal code is based on Shiite jurisprudence law and as such the age of criminal responsibility is based on age of adulthood in jurisprudence which corresponds to an age of 15 years for males and 9 years for female. In the year 2013 Iranian parliament adapted some changed to the Islamic penal code considering the UN Convention on the Rights of the Child. This reform was not as intended by the UN Convention on the Rights of the Child but the addition of article 91, showed a drop in the death penalty sentencing’s for juvenile offenders. 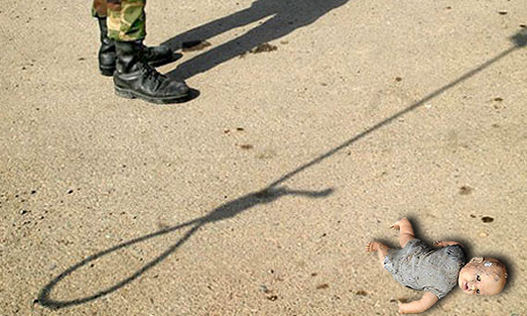 Amnesty International reports that Iran has registered 73 executions of juvenile offenders between 2005 and 2015. Of those four were carried out in 2015. Sadly, the new reforms to the law do not apply to past cases. Sentences are being carried out for those juvenile offenders like Armin who committed the crime before 2013.